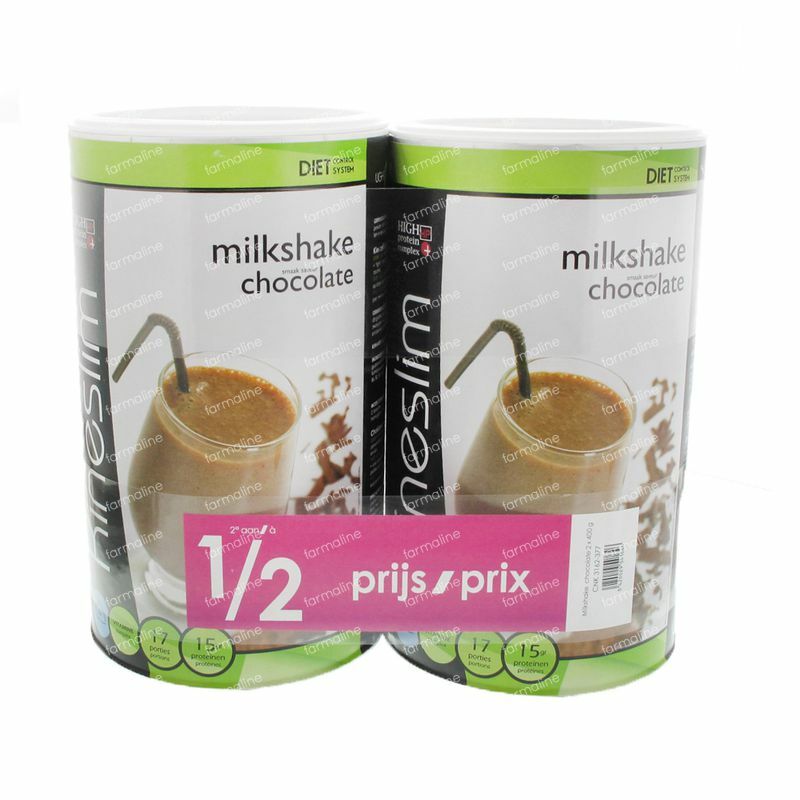 Kineslim Milkshake Chocolate 2e -50% 800 g order online. This delicious balanced meal preparation is an ideal base for anyone wishing to follow a high protein diet-programm. Suitable to support a diet. 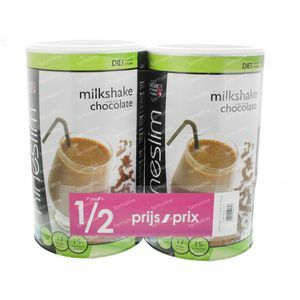 Chocolate milkshake that fits into the Kineslim protein-diet for rapid weight loss. STEP 1: Fill a shaker or cup with 150 to 200ml of cold water and add 2 scoops (= 1 dose) powder CHOCOLATE. STEP 2: Mix well until a uniform liquid. STEP 3: Warm up for 1 minute in the microwave (850W). Can also be drunk cold. milk proteins, flavorings (including caffeine), protein, fat cocoa powder 6%, thickener: guar and xanthan gum, salt, caramel, artificial sweetener, acesulfame potassium and sodium cyclamate, acidity regulator, malic acid, anti-caking agent; colloidal silica, vitamins (C, B3, E, B5, B6, B2, B1, A, B9, B8). - Do not use as a sole nutrition source.